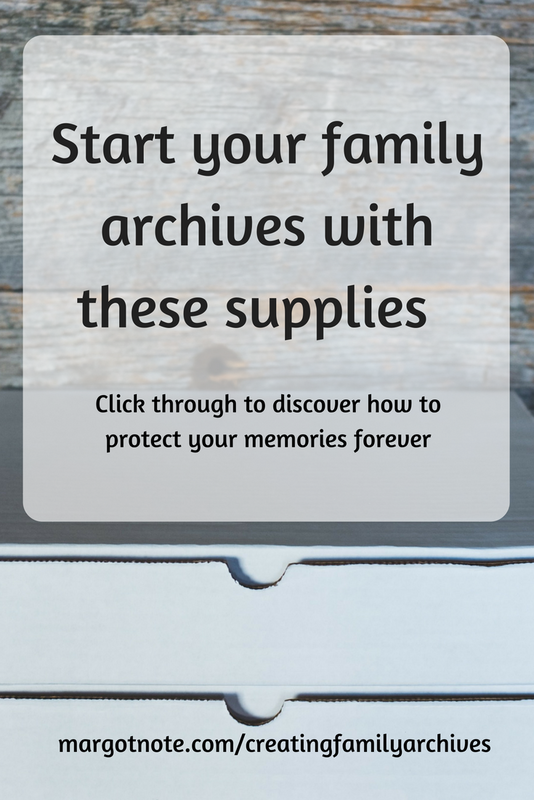 The most common question I receive from people learning how to create their family archives is what supplies to buy. I've curated a collection of the best, most affordable, and most useful archival products that every home archivist should invest in. New to archives? Here's a quick primer to what it means when a product is of "archival quality." Archival supplies are available from several distributors, such as Gaylord Archival, Hollinger Metal Edge, and University Products, through Amazon, and even in stores, most notably The Container Store. I always suggest The Container Store to clients who have never seen or worked with archival supplies before; the store has a small, but marvelous selection of archival boxes, folders, and enclosures in their Photo Storage section. Depending on your archival needs, you may want to buy all of these materials or only a few. Archival-quality file folders (I prefer letter-sized folders with full tabs. Order more than you think you'll need because you'll go through these quickly). Bankers boxes for when you have a lot of files (Paige No. 15 Miracle Boxes are the easiest to construct and the most durable. I'm WILD about these boxes and will use no others for my clients). Archival photo album kits (I prefer cream pages over black). Unbuffered or buffered acid-free tissue (If unsure of the materials you're protecting, chose unbuffered). I am not affiliated with any of the companies I've mentioned in this post. If you purchase an item, I receive a small percentage of the sale through the Amazon Associates program.